This exciting machine is packed with Brother-exclusive and industry-first features. 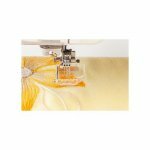 DreamWeaver™ XE is the combination quilting, sewing and embroidery machine, which is downright dreamy – revolutionary technology, reliability, and ease of operation make this the perfect addition to create projects you've always dreamed of, all while adding a touch of sophistication to your sewing room. A new chassis gives 5.0'' x 11.25'' of workspace – our biggest work area ever. Featuring 10'' LED lighting for brilliant, full spectrum lighting. With 1,050 stitches per minute, you will be creating more works of art in less time. Become a master by watching onscreen tutorials with the large LCD touch screen display which offers vivid, crystal-clear lucidity. 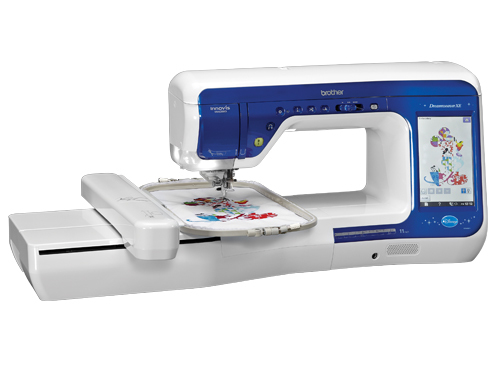 If all the industry-first features weren't enough to make your dreams come true, this machinealso has many exciting features that customers have come to love like the Automatic Height Adjuster™ AHA® feature and automatic needle threading. Tackle bigger, bolder projects than you may have ever dreamed of with DreamWeaver™ XE!